Clean: The first thing you should do to your home is give it a much-needed “bath”. Rent a power washer if you don’t own one or hire a professional. You’d be amazed at the difference a deep cleaning will make to your home. Don’t stop at just the house; clean the porch/deck, walkways and driveway. Getting rid of all the grime will make your home look like a million bucks without having to spend it. Paint: Now that your home is squeaky clean, you can add a fresh coat of paint. Redoing the entire exterior of your home isn’t necessary, so if you’re working on a budget don’t worry. Instead, focus on painting a couple areas that will stand out. 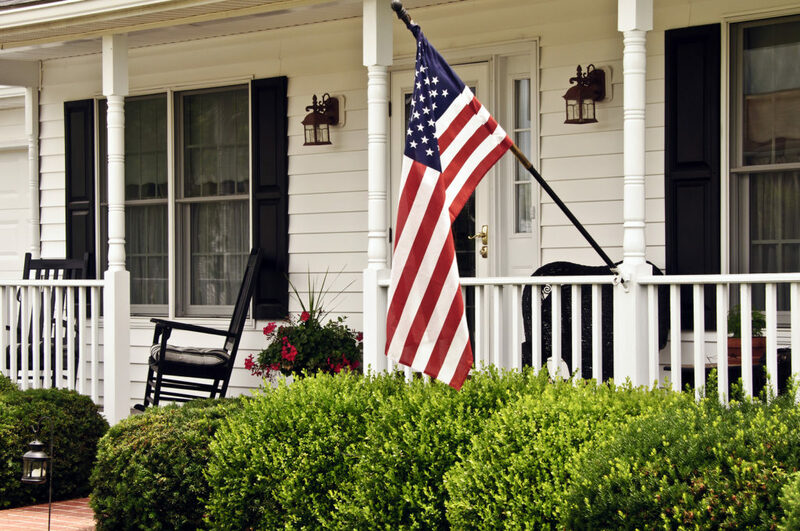 The most eye-catching spots will be your front door, shutters, trim, porch, and mailbox. Painting just these spots will keep the cost of paint down while helping rejuvenate the look of the home. Update Any Metals: Those outdated light fixtures, rusty house numbers, and ready to fall apart railings have got to go. Start with finding modern light fixtures for your porch and go from there. All metal used around the exterior of your home should remain consistent to tie everything together. 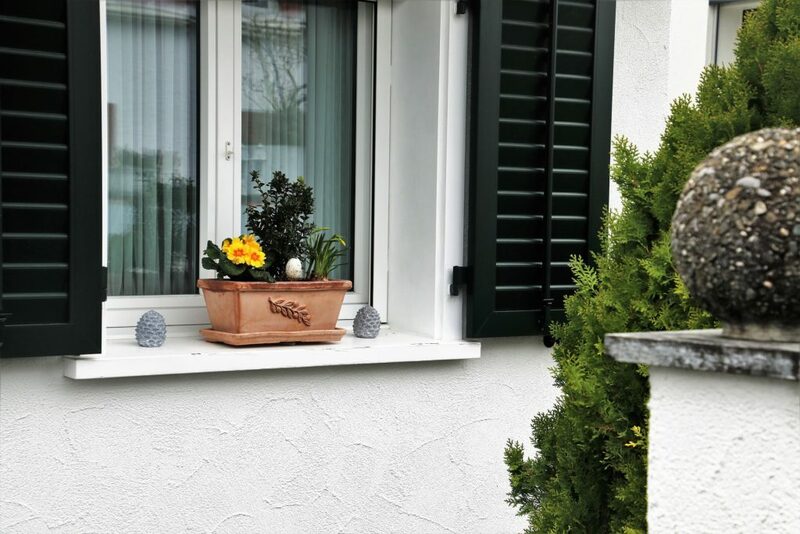 Be sure to pick items that match the overall design of your home; the exterior of your home should act as a preview for potential buyers of what they can expect when they walk inside. Symmetry: While updating and adding pieces to the front of your home, check for symmetry. Have lighting fixtures or potted plants on each side of your front door. This will not only look inviting but will ultimately make your home more pleasing to the eye. Add Seating: Having a place to sit will make your home seem more inviting. No matter the size of your porch or backyard, find a piece of furniture that will fit the space. For smaller areas, use a bench or rocking chair. For the backyard, a group of nice chairs or a single loveseat would give the perfect touch. This extends your “living” space outside and potential buyers can imagine themselves sitting around a fire pit, reading a book, or sipping their morning coffee. Add a path to this area and install lights along the way. This will not only make your yard look nice but is good safety feature. Use Color: If your yard is lacking, use color—especially contrasting—to your advantage. Ditch the same old brown mulch for a brighter red. 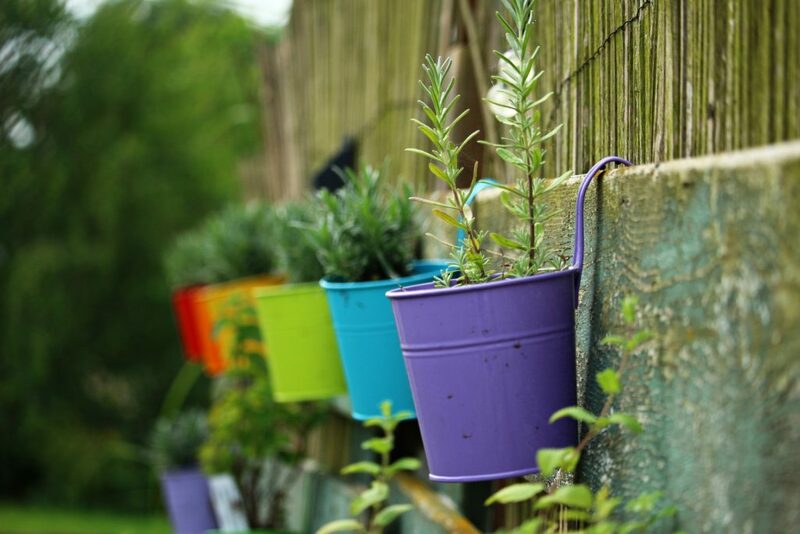 Find some bright colored pots for your plants and strategically place them around your yard. Use river rocks to create a border between your grass and beds. Dress up your mailbox with a new planter box and some bright flowers to make it really stand out. Hide Unsightly Items: Remove the ugly from your yard. Garbage cans, recycling bins, AC units, toys and tools will take away from the organized and clean look you want. If you have a shed, put it to good use with what you can. Since you can’t remove your AC unit, try to hide it with well-placed shrubs. Plants/Trees: If you have the budget, plant new trees, shrubs, or flowers. Make sure you research how big the tree will become before making any decisions. You don’t want something that will become 20 feet tall to be placed too close to your home or have the tree shed acorns all over your pool. Trim the hedges and pick all weeds. 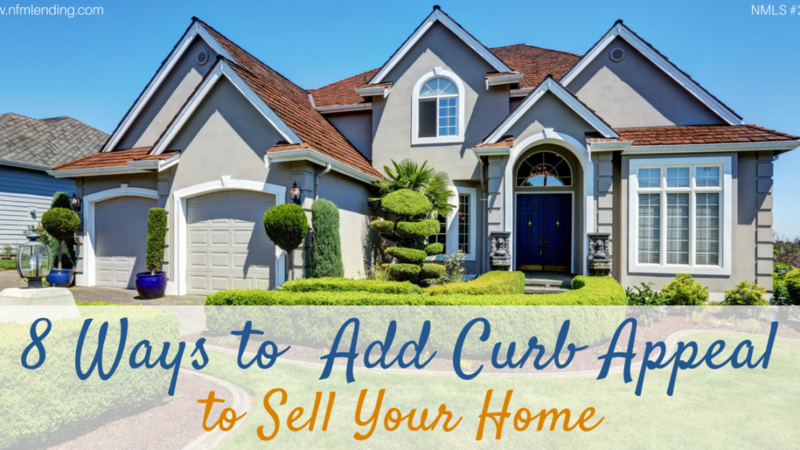 You’ll have to keep up with maintaining your yard as you won’t know how long it will take to sell your home. 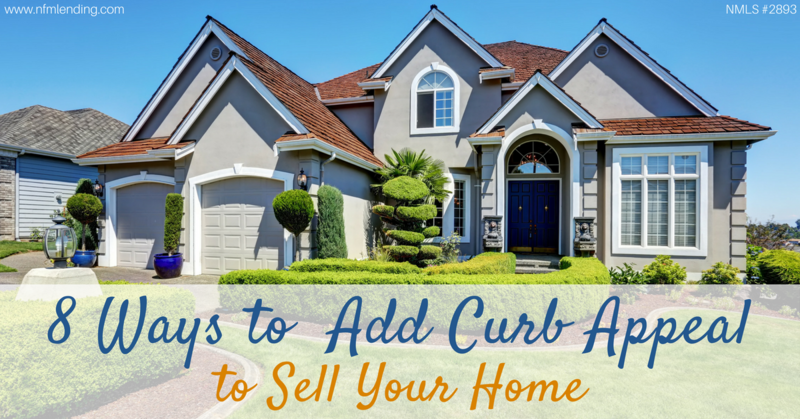 There are endless possibilities to improve your curb appeal without breaking the bank. Choose tasks that you can easily do yourself to cut on costs. Potential buyers want to be drawn into the possibilities of the home, not exactly what you’ve created. If you can entice them to walk through the door, you’ve done your job.